strong>Google’s AndroidOperating system the smartest phone on the face of the earth which now the company not only claims but has prooved it too by making it to the second position on the list of smartphones and throwing Apple makers to the back seat, however Blackberry remains unaffected at the first position due to its maintained lead in US Markets. 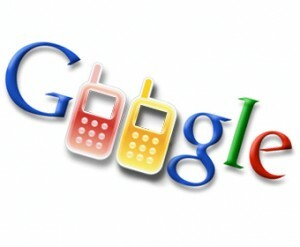 According to a report released by the NPD Group, the US consumer market research company, Google’s Android operating system has shaken up the mobile phone market, moving past Apple to take the number two position among smartphone operating systems.If we go by the no’s then the Google’s Android has outnumbered Apple Phones by 28percent which is much closer to the Blackberry which is still on the top of the list with 36 percent of distributorship. But The Android still has to pass many hurdles as it accounts for only 9% of the US market against iPhone’s 26%. In the Begiinning of this year, analytics firm Flurry estimated Google sold roughly 135,000 Nexus One phones in its first 74 days on the market, compared with the 1 million iPhones Apple sold in the same time frame when it released the device in 2007. But still the Google’s Android Phone has outnumbered all the past sales profits and falures with its smart features and functions and because of which it has been able to conquer the Smartphone market.